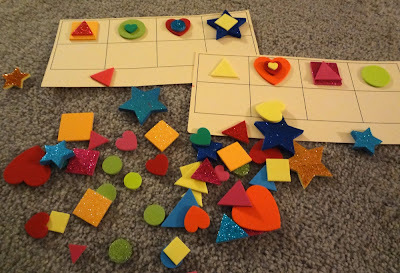 Instructions for making the Double Trouble Shape Matching game can be found at Walking by the Way. Purpose: look at the stacked shape in the top square and make a duplicate stacked shape in the square below. Extra activity: Print a blank grid and use loose shapes to build stacks for your child to duplicate.